In the waning months of 1984, I was hit by a sudden epiphany one day whilst I was watching MTV. The video for The Kinks’ first single, “Do It Again” from the 1984 “Word of Mouth” album came on and it hit. 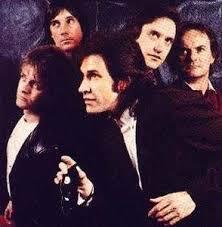 While many bands and genres in rock had come and gone, the Kinks were still going strong for twenty years. In fact, “Word of Mouth” was their 20th album! What helped was the fact that I really liked “Do It Again.” On Friday nights, after a heavy night’s partying, my friends and I would go to our favourite diner. Back in the day, diners had individual juke boxes in each both, so we would have to put on some tunes while we awaited our feasts. In the last months of 1984 and the first months of 85, “Do It Again” was constantly selected. Why not, it was a great song and still is. One thing the Kinks have always been so successful at during their tenure was to bend a little with music trends while at the same time, remaining The Kinks. On this album, their sound is definitely in the no man’s land between hard and progressive rock and I don’t mean this in any derisory way. I mean that track I have loved so much over the past three decades and opens the album is a good hard rock song. 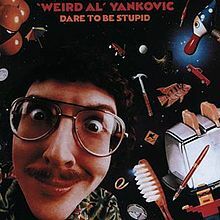 The next couple of tracks follow suit, although the title track is the harder one of the two which follow “Do It Again.” Then comes another really great track that is hot on the heels of my favourite track. “Living on a Thin Line” has both elements of hard and progressive rock. There’s a very catchy melody accented by keyboards but the guitars really crunch when required to do so. An added bonus for me back then and now is the political statement in the lyrics. Dave Davies wrote the song to convey his hatred of politicians with the insinuation that politics in Britain then hadn’t moved on much from England in the middle ages. I can see that as this album came out during the peak of the miner’s strike. Following on are two very interesting rock songs in the form of “Sold Me Out” and “Massive Reductions.” The keyboards on the latter track are a bit of a paradox for me. In my mind, the Kinks’ 1983 single “Come Dancing” was the worst song they ever made. I know a lot of you probably don’t agree and that’s cool. Anyway, on “Massive Reductions,” the keyboards sound very similar to that song I don’t like very much. However, with the hard rock of the guitars, the keyboards work well on that song. “Guilty” is a straight forward rocker and the lyrics “Guilty until proven innocent” seemed to ring true for me at the time. Not that I was in any trouble with the law. “Too Hot” is a fun song that reminds me of the Kinks of old, not that they really changed that much over the years. It’s just a catchy vibe that makes you want to wiggle back and forth in your chair. Another interesting song is “Missing Persons” which is the closest song to a ballad on the album. It is a slow song but the drums are done in military fashion and it does get harder when it needs to punctuate its point. “Summer’s Gone” is a cross between 1960s pop and heavy metal. Sounds weird I know but believe me, it works on here. Some good guitar work on here too. Maybe it was a summertime fun song for the 1980s. “Going Solo” is a good closer and I have always wondered about it. With the lyrics: “My little girl’s going solo” combined with the fact that the band members were parents, that it’s about a daughter who’s grown up and leaving the house. Just a thought, but you can’t fault the album. 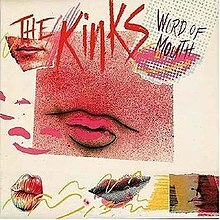 Twenty years and the Kinks were still going strong as the “Word of Mouth” album certainly showed. Looking back, it amazes me just how much good rock was out there in the year so much metal was being aired. Next post: There will be no post later on this week as I’m off to Newcastle Upon Tyne for a much needed break. However, I will go to Trillian’s and if I happen to see a good band or two whilst I’m there, you’ll read about it here.